Way back in 1969, Gary Starkweather demonstrated using a laser beam with xerography to create what is generally accepted as the first laser printer. This demonstration was carried out at the research facility of Xerox at Webster, New York. Ten years later, IBM introduced the IBM 3800 that could print 20,000 lines per minute. The first commercially viable Laser was produced by Hewlett -Packard in 1984, the LaserJet that could print at 300 dpi resolution. It was priced at US$3,600. Interestingly, it had a Canon engine controlled by HP software.Apart from the printing job itself, laser printing, because of its precise quality of text print and high output, gave a boost to desktop publishing. Apple released its own version in 1985 for the Mackintosh followed by the Aldus Page Maker which heralded a new era for desktop publishing that has only progressed and diversified for the better with time. 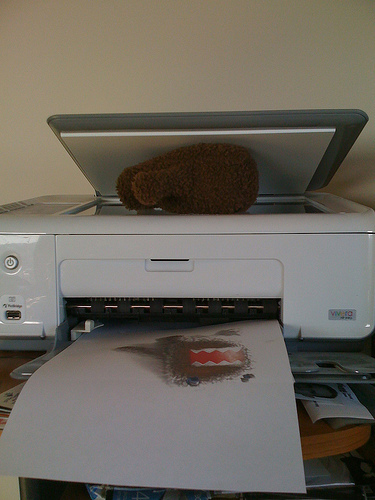 Subsequently, with the perfection of the laser technology where larger portions of paper are printed using a laser beam, the laser printer has today become an indispensable Computer peripheral.While most people have Inkjet Printers for home use, office work usually calls for a Laser. It may be useful to understand the business sense that goes into the purchase of lasers where there is a lot of work to be done, and fast. While Inkjets are great for printing graphics and on various different surfaces too (like cloth and canvas and several different paper qualities) and for taking personal text prints, whether for research work or for printing out the grocery list, they are, in fact, slow and expensive when compared to a Laser.It really depends upon the kind of work that you want to do. In an office environment, there is a greater need for speed and volume when it comes to the print output. Even though Lasers cost more initially, their print volume, in case of monochrome printers, is definitely higher than that of Inkjets, and the ink replacement is also cheaper. For some Inkjet printers, replacing the cartridges twice can actually equal the cost of the printer itself. Not so with lasers, which make them ultimately economical with large outputs. There is also the speed and quality: Lasers are faster, and produce a no smudge, super crisp text print. 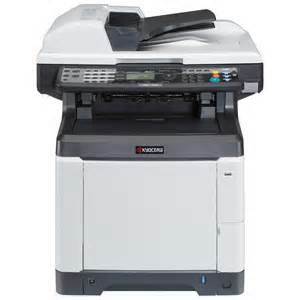 In most monochrome printers, the image print quality is at least acceptable.Colour Laser Printers are slowly replacing the monochrome for office use, but with several toners to replace, operating them is a process that takes some expertise, aside from the expense and possible misuse. Unless the laser becomes as good with photographs as it is with charts and diagrams, the transition may still take a while. HP Laser Printer Service Boston – We’ve been providing business copiers for a long time, and over the years, the most common complaint we hear about typical copier sales people is that they are pushy, fast-talking, and might as well sell used cars instead of copiers (no offense, car guys). Looking for HP Laser Printer Service Boston? When you think about referrals do you both cringe and twitter with excitement? Those may not seem like emotions that should or even could happen at the same time. You cringe because you hate thinking about having to ask for them, and you aren't sure how to do it. You twitter with excitement because you know a good referral can turn into a new client fast.Notice I used the word create in the title of this article instead of the word generate. I chose that word intentionally because I want you to change how you think about how you get referrals. You cringe at the thought of having to ask for referrals because it makes you feel like a beggar, and it makes you feel like you're imposing on someone else. You can get the referrals you want without having to be an imposition, and without having to inappropriately ask for them.Change your mindset from asking to one of giving. Yes, giving. From now on you will give others the opportunity to share the value of what you do with the people they know. You will provide them with a good reason for wanting to share, and you'll provide a way for them to easily share you with whomever they want whenever they want.The reason it's so hard for you to ask for referrals now is because the way you approach asking for those referrals is selfish and self-serving. Those are the same reasons the way you approach referrals don't work. Rather than approaching referrals from a me-me perspective approach referrals from the perspective of how do you win by telling others about me.A second reason it's so hard for you to get referrals is because you don't properly prepare to get, nurture, and receive those referrals. In essence, you're hoping you'll get referred when you haven't done what you need to do to get referred. You're like the guy who can't figure out why he never wins the lottery even though he doesn't buy a ticket.There are 5 critical things you must do to create the referrals you want.First, your clients must know the outcomes and results you help others achieve. Isn't it true that people only buy your services because they have a problem they want solved, or a challenge preventing the outcome they want? Clients want outcomes and results, and they will refer people who want those same outcomes and results as long as they know what those outcomes are and that you can make good on your promises.Second, you rapidly transition into a ready buyer when certain events trigger your buying mechanisms. If a copy machine sales person asked you who you knew that needs a copy machine you'd probably have no clue. If that same copy machine sales person told you that when you see the waste basket full of crumpled paper by the copy machine that's a pretty good sign the company may need a new machine you'd know what to look for and who to refer. What would your client see, hear, or have to know that would indicate someone is a potential client for you? Help them to look for the symptoms and problems that trigger a need for your services.Third, teach your clients how to share you. They aren't going to want to call up their friends, peers, and relatives and ask them to meet with you. They don't have a reason to want to do that. However, each and every time you connect with them you can provide good information that others would want access to, and a way for them to share that information with the people they know.Fourth, make it fun and memorable to share you. This is how and why viral marketing work so effectively. While you probably don't want a video of you circulating the internet you do want to be a point of conversation among your clients and potential clients. You can do it in the real world with real events and tangible things.Fifth, provide systems to accumulate and generate automatic referrals. Every point of communication or connection should include a referral mechanism. Remember to include an array of communication mechanism to fit the way each client likes to communicate: mail, phone, email, website, live events, etc.One way to make sharing you fun and memorable is providing the means for your clients to look good for doing so. For example, you may be able to arrange a gift certificate with a local merchant where you're clients can give the certificate to their friends as a benefit of their relationship with you. This reinforces the giving perspective in your referral approach.You can ask for referrals until your blue in the face, or you can give your way to more referrals and increased sales . You'll find the more value you give the more rewarding it is for others to refer you. The more personal satisfaction they gain from referring you to others who are appreciative of the referral the more they refer you. It's a giving win-win for you, your existing clients, and your potential new clients.